On March 27, 2019, the Supreme Court will hear arguments in the case of Kisor v. Wilkie. James Kisor served in the Marines in Vietnam from 1962 to 1966. In 1982, he filed for disability benefits for post-traumatic stress disorder. The Veteran’s Administration denied his claim the following year because he had not been diagnosed with PTSD at the time. He did not appeal. Fast forward to June 5, 2006, when Kisor asked to reopen his claim, attaching a PTSD diagnosis and some of his service records that had not been in his VA claims file previously. This time, the VA granted his request, but made it effective June 5, 2006. 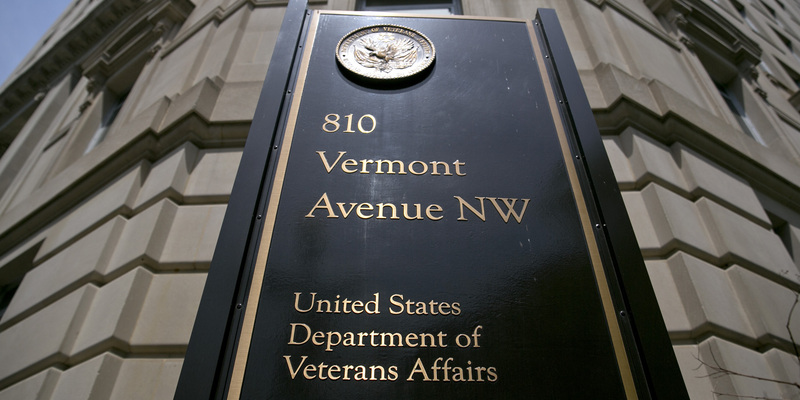 When he asked for an earlier effective date to obtain retroactive benefits, the VA declined. The Board of Veterans Appeals agreed. The VA regulations require it to reconsider a claim “if VA receives or associates with the claims file relevant official service department records that existed and had not been associated with the claims file when VA first decided the claim.” The Board acknowledged that Kisor had submitted records that had not been associated with his claims file earlier, but found that the records were not “relevant” because they did not change the critical fact that he had not been diagnosed with PTSD in 1983. The U.S. Court of Appeals for Veterans Claims affirmed. The U.S. Court of Appeals for the Federal Circuit also affirmed. In that court, Kisor argued for the first time that the VA had misinterpreted the term “relevant.” Evidence is relevant, he argued, if it has “any tendency to make the existence of any fact that is of consequence to the determination of the action more probable or less probable than it would be without the evidence.” The VA argued that evidence is irrelevant if it would not have mattered given other evidence. The records Kisor offered were not relevant, according to the VA, because they addressed an issue that was not contested: the fact that Kisor experienced an “in-service stressor” in Operation Harvest Moon. The Court of Appeals held that the term “relevant” is ambiguous in this context. Rather than deciding which party’s interpretation was better, the court followed Supreme Court precedent requiring deference to agency interpretations of their own regulations and held for the VA. The problem is that those precedents have been under attack. In Bowles v. Seminole Rock in 1945, the Supreme Court held that an agency’s interpretation of its own regulations is controlling “unless it is plainly erroneous or inconsistent with the regulation.” Justice Scalia writing for the Court reiterated that holding in 1997, in Auer v. Robbins. Yet, by 2011, Justice Scalia had begun to wonder if it is “contrary to fundamental principles of separation of powers to permit the person who promulgates a law to interpret it as well.” Two years later, he had made up his mind that Seminole Rock is unconstitutional. Justice Thomas agreed, and Chief Justice Roberts, joined by Justice Alito, expressly invited petitions to reconsider it. Justice Gorsuch has expressed skepticism about it, and as Professor Chris Walker pointed out, Justice Kavanaugh likely would “be receptive to calls to eliminate — or at least further limit” Seminole Rock. In Kisor’s petition for certiorari, he raised two questions. First, he asked whether Seminole Rock should be overruled. Second, he asked in the alternative whether Seminole Rock should yield to the substantive canon of construction that ambiguity should be resolved in favor of the veteran. The Solicitor General suggested that the Court address the question of whether the VA’s interpretation was correct. But the Court decided to address only the question of whether Seminole Rock should be overruled. Professor Gillian Metzger pointed out, however, that Kisor’s case is not a good vehicle for overturning Seminole Rock because the VA’s interpretation came in a formal adjudication. The Court has long accepted that agencies have the discretion to make policy through either rulemaking or adjudication. Holding for Kisor here effectively could force the VA to engage in rulemaking to clarify the meaning of “relevant” in its regulations. Broadly applied, such a ruling could hamstring agencies significantly. But the Court doesn’t seem poised to overturn that well-established doctrine in this case. So what’s the Court up to here? Metzger suggests that the cert grant in Kisor may be “best understood as part of a growing constitutional attack on administrative governance evident in Roberts Court jurisprudence.” Perhaps the Court will transfer the agency’s power to the judiciary by substituting its own statutory interpretation for that of the VA. This case could be a step along the way to invalidating the Chevron doctrine, under which courts defer to agency interpretations of the statutes they administer. Or perhaps Justice Kagan again will pull together a centrist majority to forestall disaster. Time will tell.